On Saturday March 30th, Chef Zu of Kings Apron will facilitate a H.E.A.T cooking class focusing on “Farm-to-Table." This class will highlight the differences between hyper local vs. local foods, gardening vs. farming and store bought vs. homemade. H.E.A.T stands for: Healthy Eating Alternatives & Techniques. During this 2.5 hour class we will highlight how to streamline your efforts in the kitchen and create innovative healthy dishes for yourself, family & friends. You will learn how to put the pieces together using local produce and craft your very own “Plant Based Pizza w/ Spelt Crust.” This recipe is meat free, dairy free, egg free, and cruelty free. 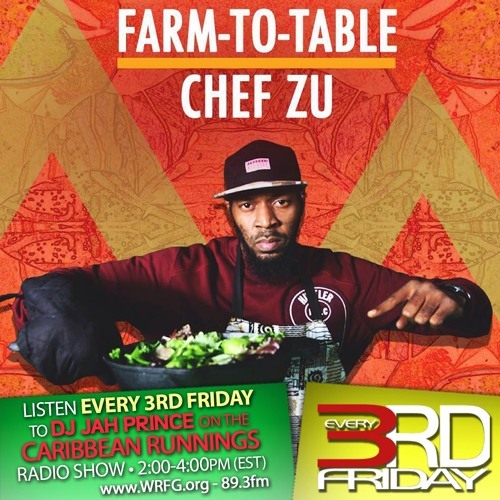 Then Join Chef Zu in bringing people of diverse backgrounds together over dinner to talk about racial equity in the food and farming space. The Living Color Dialogue Dinner focuses on creating a safe space for sharing innovative and creative ideas around how farmers, food workers, chefs, restaurants, local food initiatives and food & farming non-profits can best deal with racial inequities in the workspace. Chef Zu has partnered with GENERATOR for the space and with Rachel Willis of ELEVATING EQUITY. We will collectively share ideas based around a set of questions on what Racial Equity is, how it works and why we should all become more involved with advocacy. All guests will leave with a "Elevating Equity Tool Kit" to take back into their workspaces and food communities. The Living Color Dialogue Dinner will feature a sustainable farm-to-table 5-course vegan cuisine dinner prepared by Chef Zu. Vegan Wine will be available with a donation.